The novelist Yiyun Li treats a depression by reading and literature. Her latest book, a collection of essays (1), has just been published in the United States where she lives and where it has received exceptional reviews. A short but very dense book that evokes her youth in Beijing, her arrival in the United States, her first literary successes and her serious suicidal depression in 2012. It is a magnificent hymn to reading and literature and she makes us share her conversations with her favorite writers. – A future in Beijing? She talks about her school, her classmates, her neighbourhood; a protected residence because her father was a nuclear engineer. Books are essential to her from an early age. She finds them at home and especially at the school library which is easily accessible as she is an assistant. Many translations of foreign novels but also of Chinese poets even if she confesses that the conciseness of the great poet of the Tang, Li Shangyin, is problematic to her. Her father, who had her read Buddhist texts, had an impact on her by his fatalism and could not protect her and her elder sister, from maternal despotism. A tough, vulnerable and possessive mother, a retired teacher. This important character is evoked as an obsession on many occasions for her childishness, her rage and her tears. After the Tiananmen massacre, she spent a year in the army before returning to university. Staying in Beijing was not an option and she left in 1996 to study immunology in Iowa in the United States; she was 23 years old. In 2000, she obtained her degree in immunology but decided to change her life. She is worried about a well-traced scientific career. She “crosses the river” to attend creative writing classes at another campus of the University of Iowa and in 2005 published her first collection of short stories “A thousand years of good prayers“. Won over by her talent, a first telephone interview of an author unknown in Europe, is published in 2008. There is no difference between the language she uses with herself and the language with which she communicates with others. Feeling and expressing feelings in an adopted language is difficult but it was almost impossible in her mother tongue. Relations with China and Chinese readers are not easy. Some criticize her for not being political enough, others find her excessive. Her books are not translated into Chinese. Some readers regret the insistence on certain topics and they do not feel proud to be Chinese when closing the book. If she does not write in Chinese, does she have the right to write critically about the country … cultural treachery? She is not supported by sinologists who are not interested in her because she does not write in Chinese! 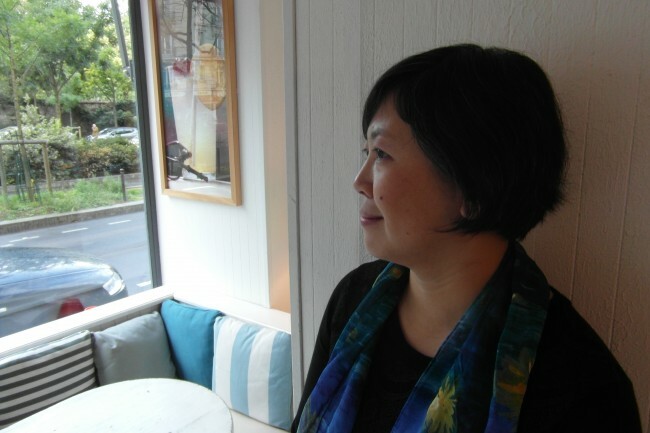 But unlike another Sino-American novelist, Ha Jin, she can visit China without problems and her two sons know their grandparents, but Yiyun Li does not seem dissatisfied that her mother cannot read her books! The study of Buddhist texts during her youth was decisive even though she acknowledged having read them too early. She has a very strong feeling of emptiness, of negation, of an “emptiness that says: you are nothing”. She is not fatalistic like her father because “a fatalistic person cannot be a dreamer, which I still want to become one day” (p.20). – An example of the American dream? 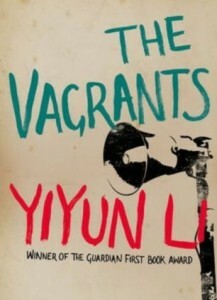 Successes for her short stories and her novel “The Vagrants” (4). But as she says in the conclusion of her essays: her ambition, her will for excellence as a mother, as a teacher, as a writer made her lead an impossible life: during ten years she wrote between midnight and four o’clock in the morning. In 2012 as she prepares “Kinder than solitude” (5), she has two nervous suicidal break-down that require hospitalization. The book is an exploration of aspects of her life not covered and a means of giving meaning to what happened to her. She wonders about suicide, tells us about Stefan Zweig and his wife. She is astonished at the usual reactions: the family circle thinks itself authorized to comment and even to judge. As she says: “people who have not experienced a suicidal urge miss a crucial point. It is not that one wants to end one’s life, but that the only way to end the pain…is to wipe out the body” (P.72). Is this willingness to flee from suffering a proof of egoism, a trait of character with which her mother has always favoured her? She portrays her contacts in the hospital with caregivers and other patients. She takes refuge in reading, particularly of very personal texts by authors she loves, and it is from Katherine Mansfield that she will borrow the title of her book. But she is prudent because, as Romain Rolland says in “Jean Christophe“, solitude can be fatal and an artist must live the life of his time. It is reading and writing that will save her, but she must define her relationships with the characters she creates, she must keep a private life outside her characters. She evokes in a very engaging way the writers she loves. She is mostly talking about Russian writers (Tolstoi, Turgenev, Chekhov), Romain Rolland and Montaigne, Irish writers (John McGahern, Elizabeth Bowen). Deceased writers with whom she is leading a conversation. 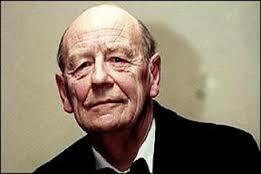 The most important was William Trevor; she had with him trustworthy relations as with a father and he always supported her; his death a few months ago at 88 years must have been a painful test; she even explains that she would not have become a writer if she had not met his work. This book of essays by Yiyun Li is amazing: an impersonal style and above all an abundance of abstract terms, rare in an English-language text. It often concludes with aphorisms that must open the debate (for her, with the reader?) and which are often very elliptic, sometimes not very nuanced. Her style is very concise and some conclusions deserve to be developed. She does not want an autobiographical approach, her previous four books were not. Her approach to this suicidal depression is very personal but her intimate life, her relationship with her husband, her children, those she loves, are never addressed. She manages to protect herself even if this book has occupied her for nearly two years; it is a sort of truce with what cannot disappear. (1) Yiyun Li, “Dear friend, from my life, I write to you in your life“. Hamish Hamilton, 2017, 200 pages. (2) Yves Hervouet, “Love and Politics in Ancient China, a hundred poems by Li Shangyin (812-858).” Paris 1995. (3) Yiyun Li, “Un millier d’ années de bonnes prière”, translated from the American by Françoise Rose, Belfond 2011. (4) « The Vagrants », translated into French as “Un beau jour de printemps » !! by Françoise Rose, Belfond 2010. (5) Yiyun Li, “Plus doux que la solitude”, translated by Françoise Rose, Belfond 2015.